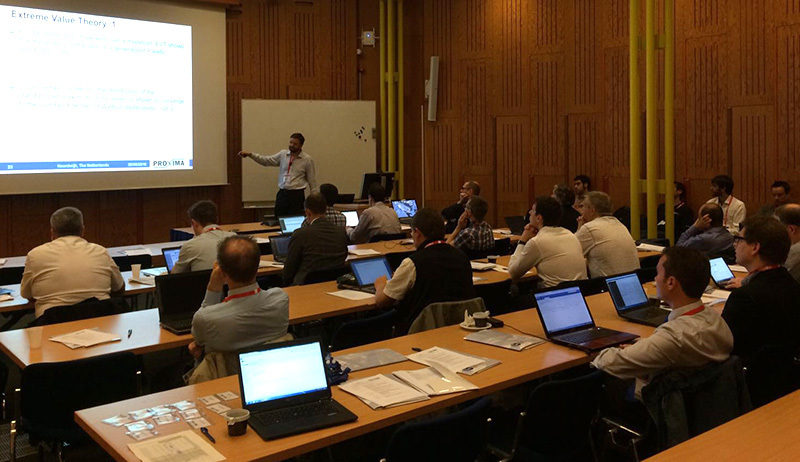 The PROXIMA project, presented its research results in the Industrial Workshop held on 28 June in the European Space Agency (ESA) premises in Noordwijk (The Netherlands). The workshop showcased the value proposition, different platforms and case studies developed as part of the project. More than 40 expert attendees from academia and particularly from industry – representing the automotive, avionics and space sectors – showed keen interest in the technologies presented. The list of attendees includes ESA representatives as well as key industrial experts from major companies (ADACORE, AUDI, BMW, ETAS, DENSO, QINETIQ Space) and representatives of other European research consortiums of the Mixed Criticality Cluster and Embedded systems communities such as CONTREX and P-SOCRATES. In the words of the PROXIMA coordinator Francisco J. Cazorla, “the workshop offered an excellent opportunity to share the work performed in the project with potential end users, as well as helping identify opportunities to further develop PROXIMA technology”.